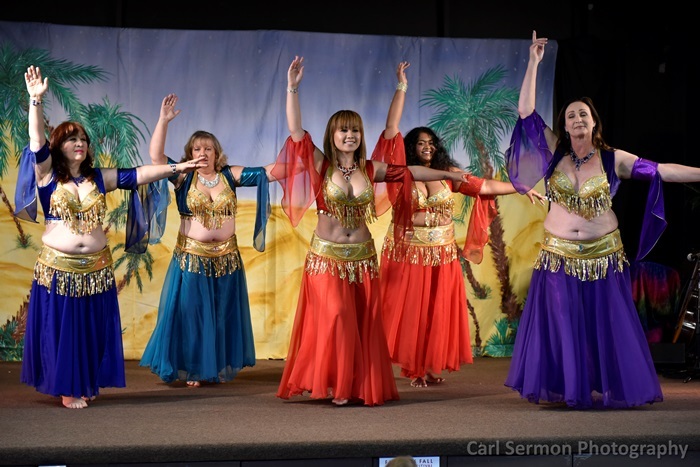 “Meet Me at the Oasis” Fabulous Fall Festival was truly an event for the whole San Francisco Bay Area belly dance community, welcoming performers and participants from all parts of the Bay Area! Thank you to everyone who came out to meet us at the oasis: the fantastic vendors – including our photographer, videographer, & portrait artist – the tireless volunteers, the enthusiastic audience, and the incredible DJ, musicians, and DANCERS! You were all wonderful, and we couldn’t be more excited and grateful for your participation. Thank you, thank you, thank you to all who helped make this an epic day and an epic show. 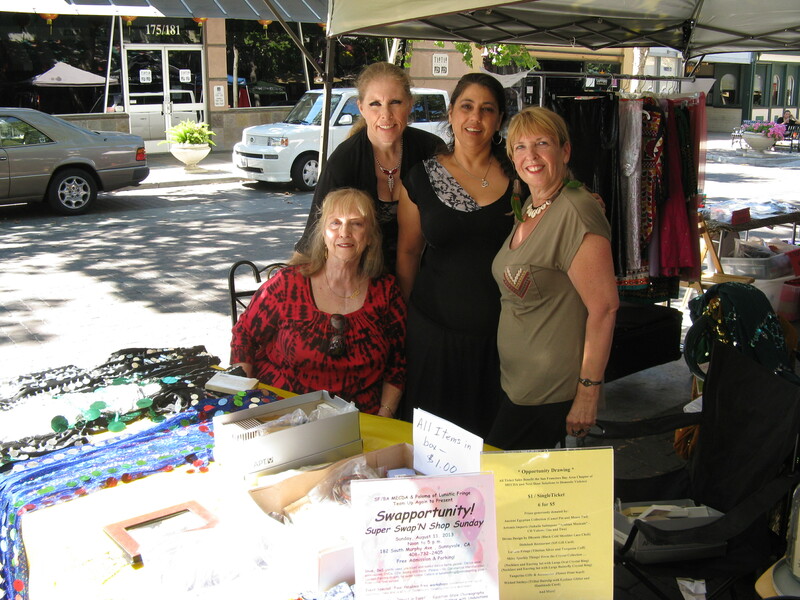 Swap and Shop at HaflAdira – Our first event Post MECDA was a great success! 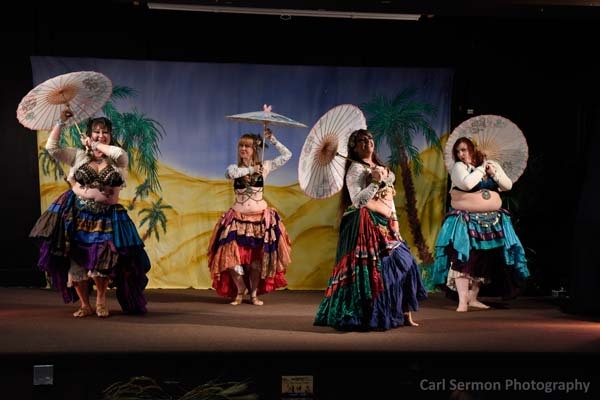 Date: Saturday, May 17, 2014 – 11 a.m. to 5 p.m.
HaflAdira Dance Showcase – 1 p.m. to 5 p.m.
GENTLY USED BELLY DANCE RELATED COSTUMES, FABRICS, MUSIC, ACCESSORIES…? 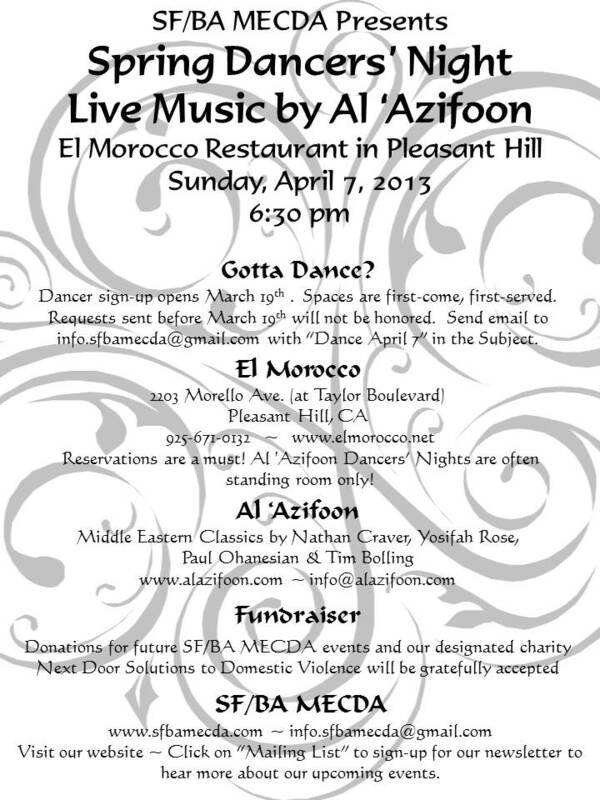 To reserve a seller space contact Safiyah directly at safiyah.sf@comcast.net with “Seller Space” in the subject line. Spaces are first come, first served. PLEASE NO RETAIL MERCHANDISE. Seller provides own table and rack. This is an outdoor event so come prepared accordingly – – bring sunscreen, an overhead covering such as a canvas popup, etc. Below is the announcement we posted in early 2014 about the closing of the association called MECDA at the national level. The survey mentioned below has been completed and results of the survey are being discussed by the board members who are now Committee Members holding the same positions in the continued association now calling itself “The Association Formerly Known As MECDA” (or TAFKAM) . All the events promised by SF/BA MECDA for 2014 will be going full steam ahead! 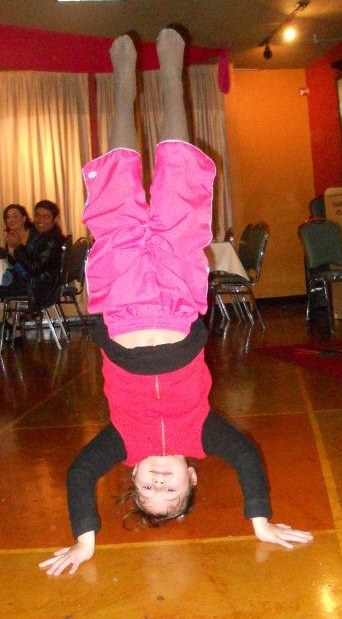 Swap & Shops, Dancer Nights and the Fall Festival are all happening! We need community support! And that’s where YOU can help us. Please participate in this very important survey to help us know what you want so that the new entity that forms from SF/BA MECDA continues to be relevant and meaningful. Go to the Survey https://www.surveymonkey.com/s/99C6G5W. Deadline is April 10th. Tell us what you think NOW! Results will be publicized on or about April 28th. Please note that in the survey, you will find a question about paying dues to become a member of any future entity that we might form. We forgot to mention that in order to rent public facilities, we need to be incorporated as a legal entity and that requires annual fees. Dues would offset those fees. While the San Francisco Bay Area MECDA Chapter and Board of Officers as you have known it will no longer exist, we, the officers you elected earlier this year, have met to discuss developments and options and how we might still offer you the services provided by SF/BA MECDA in the future. But this will take time and research which is already in progress. In the weeks ahead there will be multiple decisions to be made.Your response to the survey will help us to make those decisions. In cooperation with Adira, the Swap & Shop will take place as announced. 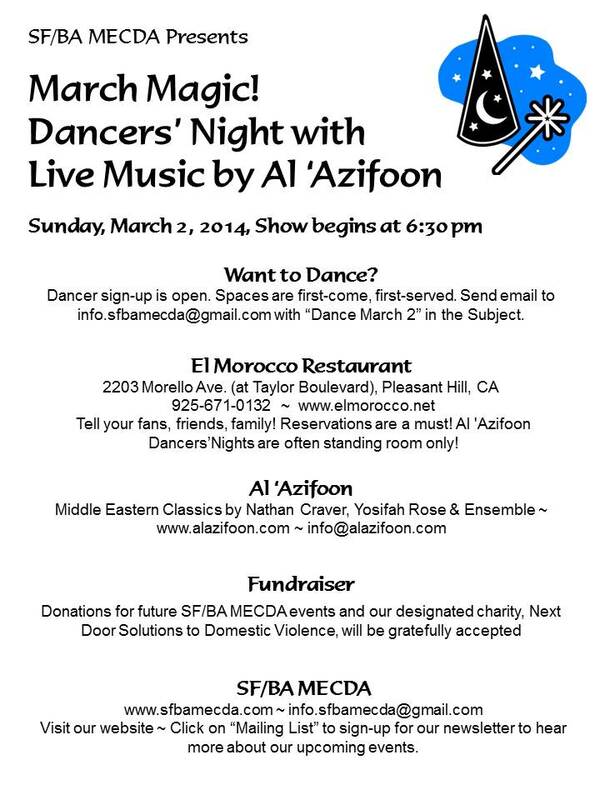 Our Last Event As MECDA was the dancer’s night at El Morocco featuring the band Al Azifoon. Candidates for the 2014 SF/BA MECDA Board of Officers have been confirmed. All nominees have been notified and all have replied, either accepting or declining their nominations. By January 11, all members will receive notification in their email inboxes that the online election ballot is ready for their votes. 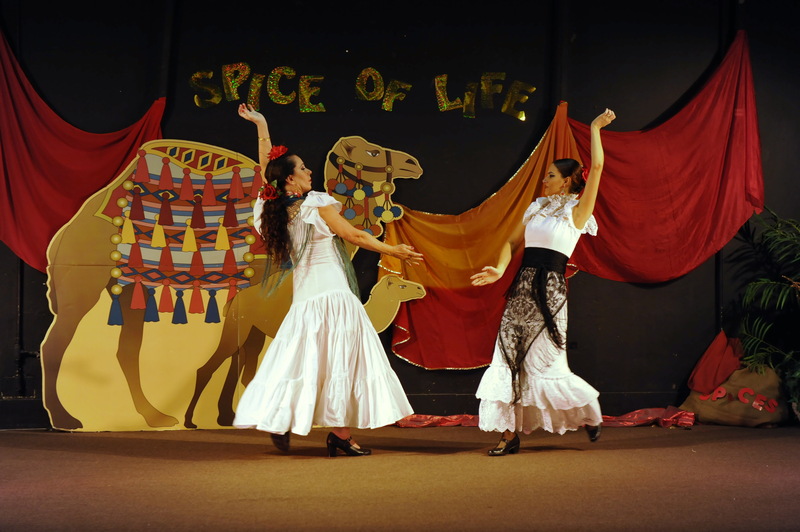 “Spice of Life,” our annual festival and fundraiser, was held on Saturday, November 2, at the Hillview Community Center in Los Altos, CA. 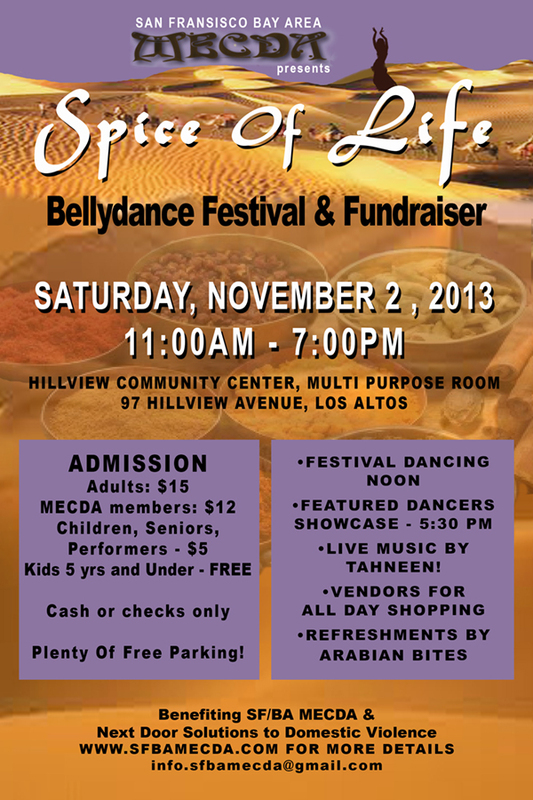 Saturday, November 2, 2013 – SF/BA MECDA presented its 14th Annual Belly Dance Festival and Fundraiser – SPICE OF LIFE! In order to bring you this annual event our Board of Officers literally works all year round. 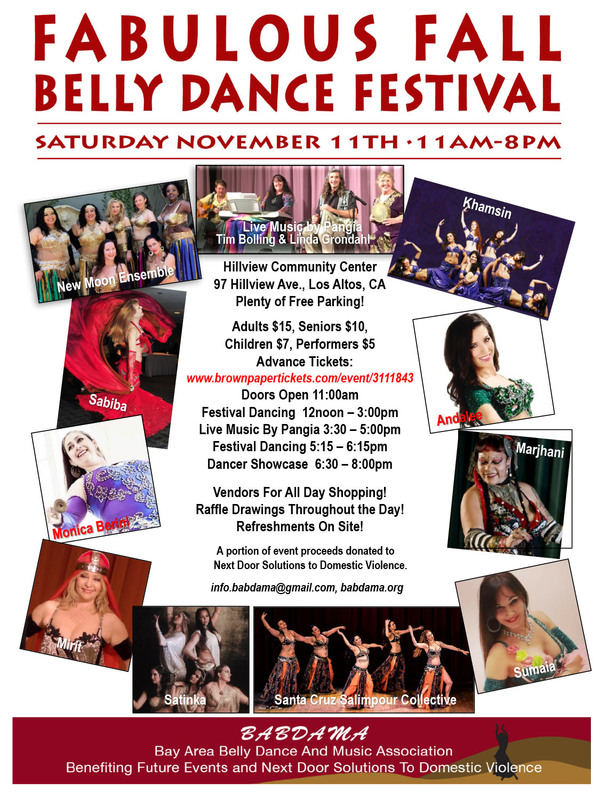 And its success depends on the support of the vendors, the many volunteers, musicians, the community in general, and, of course, all of the Bay Area’s best belly dancers. Many of you have told us how much your enjoyed this event. 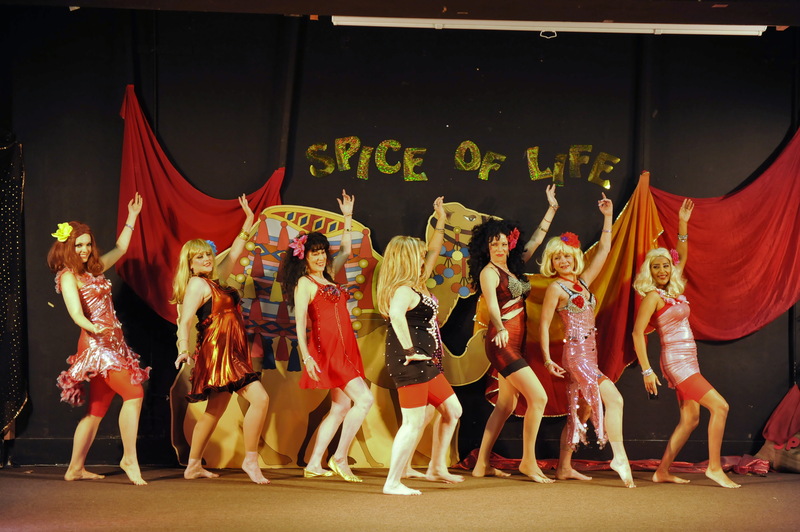 Spice of Life was well attended and a fundraising success. With your help, we can once again end the year on a high note!! (Dance spots filled up immediately!) 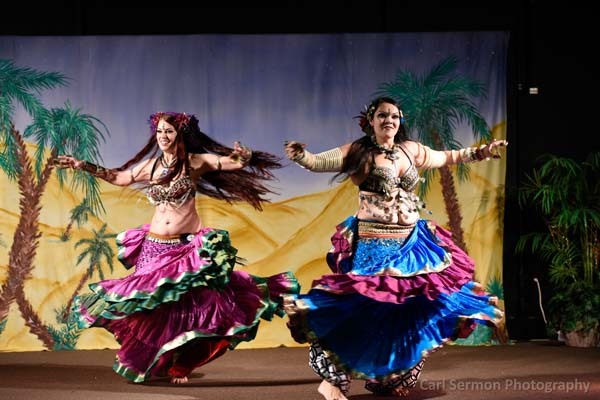 and all of our Featured Dancers who gave us an unforgettable spicy and variety-packed show: ALYNE, ALIKA, RASHANI, SADIRA, DAVINA, FIREFLY, BLUE DIAMONDS, MALIA & MONICA, AMINA & THE ASWAN DANCERS and SHOSHANNA. (See photos below.) 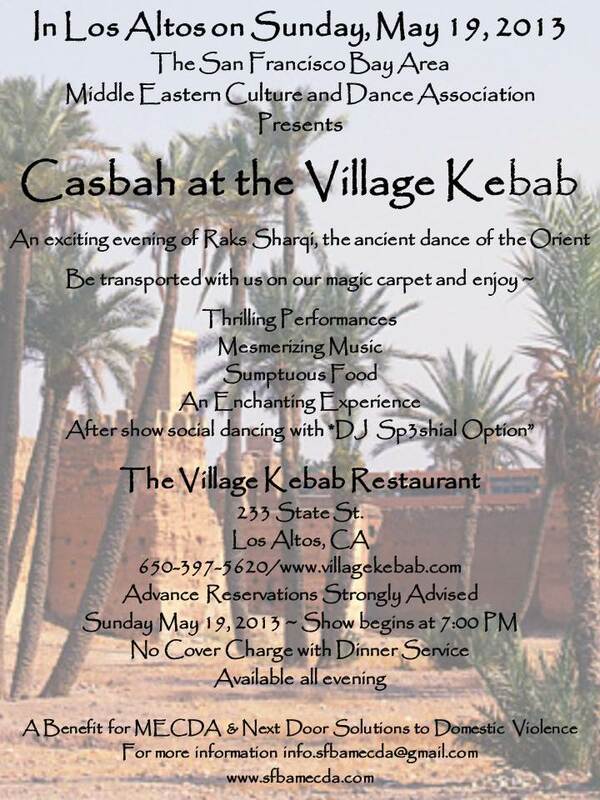 We also enjoyed LIVE MUSIC BY TAHNEEN and Refreshments by ARABIAN BITES. See the Newsletter for November 24, 2013, for more photos. 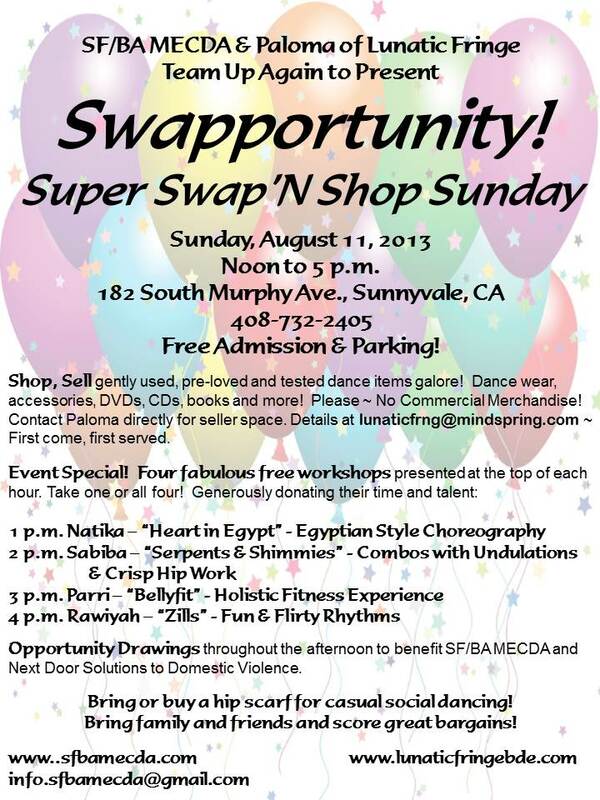 Super Swap ‘N Shop Sunday – – A Community Event Success! The San Francisco Bay Area Chapter of MECDA wishes to thank our co-hostess, PALOMA of Lunatic Fringe, for helping us coordinate another successful Swap ‘N Shop! 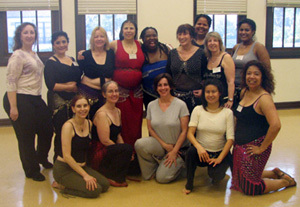 We would also like to acknowledge the belly dance instructors (NATIKA, PARRI, RAWIYAH, SABIBA) who donated their time and talent to present free workshops throughout the afternoon,. And, of course, a Swap ‘N Shop would not be complete without the sellers and shoppers! 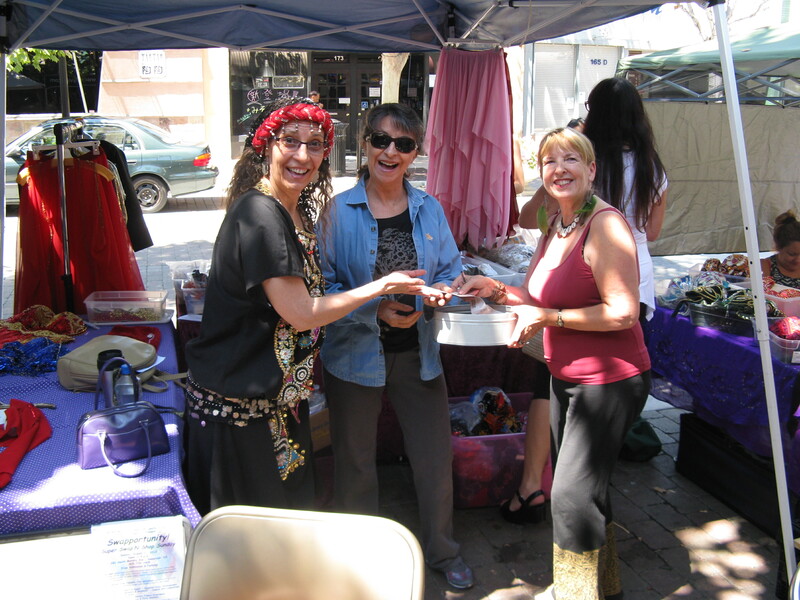 Under the tents, the sellers happily displayed a wide array of gently used belly dance apparel, accessories, colorful fabric, etc. The shoppers didn’t waste any time finding the great bargains and several could be seen modeling their purchases. A big “thank you” also goes out to all those who generously supported our Opportunity Drawing, and, in particular, to those who donated the variety of prizes: Ancient Egyptian Collection, Artemis Imports, Divine Design by Dhyanis, Dishdash Restaurant, Lunatic Fringe, Shiny Sparkly Things, Tangerine Gifts & Accessories and Wicked Smileys. All ticket sales benefited our Chapter and Next Door Solutions to Domestic Violence. Congratulations to the winners! 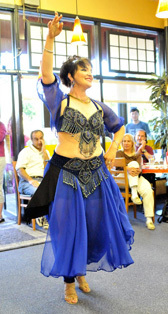 It was truly a fun afternoon of shopping, dancing, mingling, or just relaxing with our bay area belly dance friends. 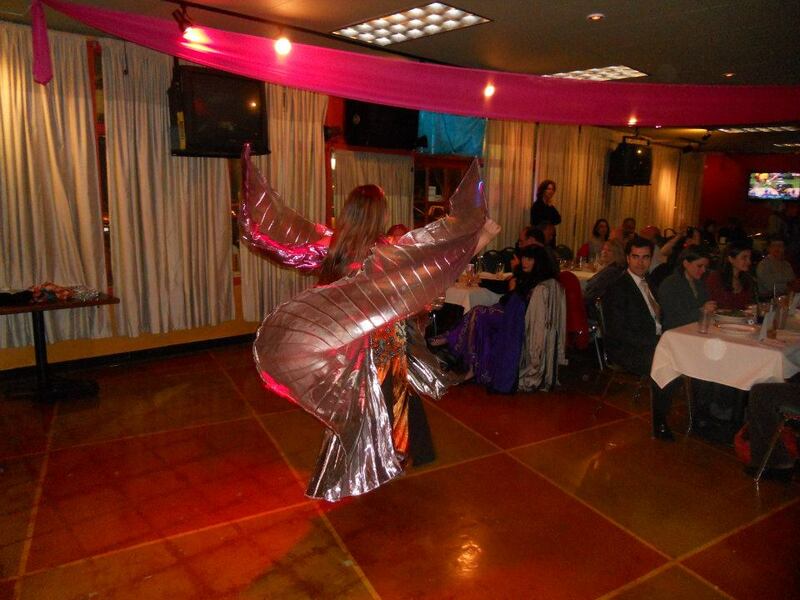 What a delight our pre-Valentine’s dance party, Hearts & Hips, was at Al Masri on February 10, 2013. 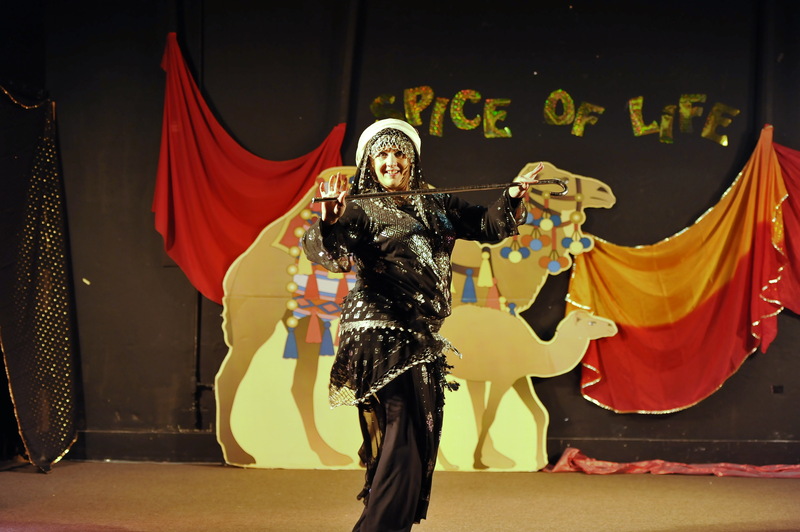 We thank our co-host Sausan for providing an intimate and friendly atmosphere, the delicious Egyptian cuisine, and her generous contribution from the purchased dinners to MECDA and our designated charity. We also thank the dancers (Andrea Aranda, Asiya, Linda, Paloma, Raja, Rawiyah, Robin Lovejoy, Zelina and house dancer, Melinda) who truly put their hearts and hips into their lively performances. Below are some of our dancers captured by the camera. Each of your SF/BA MECDA officers also attended and/or participated in several other events throughout the local area and beyond! 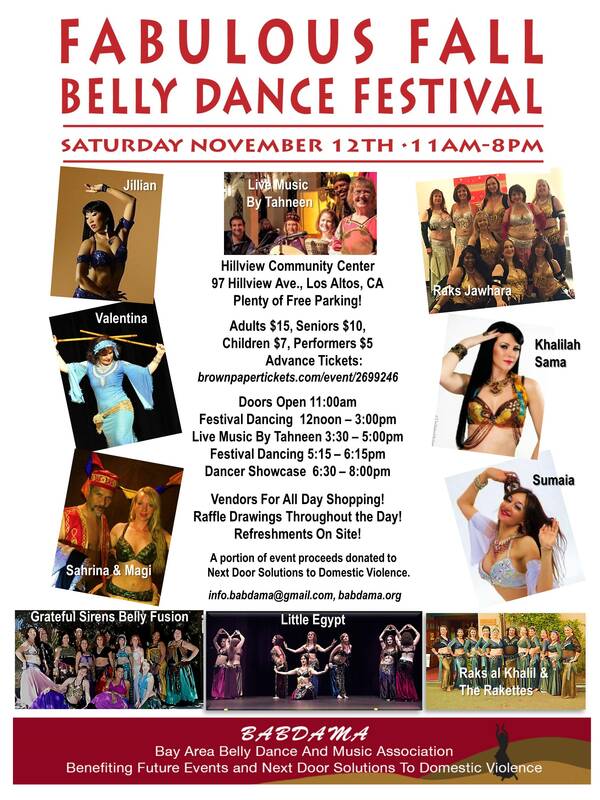 We have enjoyed serving our belly dance community and want to take this opportunity to thank you for supporting us and our chapter throughout 2012!! 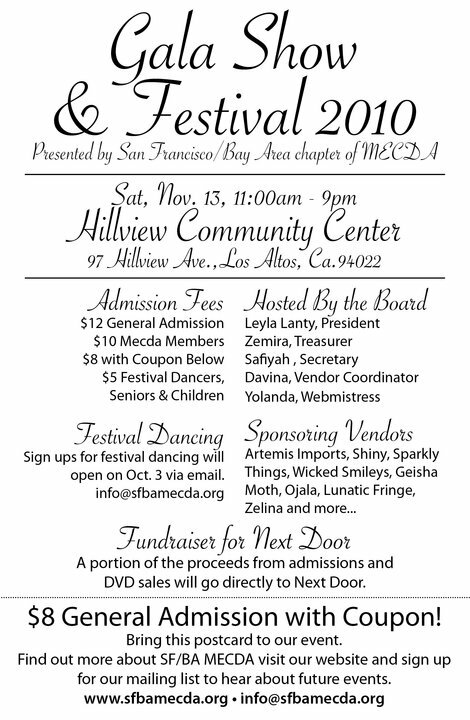 Our year ended on a high note with our Fabulous Fall Colors Festival & Fundraiser which was held on Saturday, November 3, 2012 at the Hillview Community Center in Los Altos. 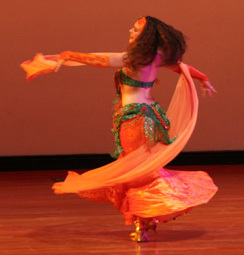 There was lively Festival Dancing from 12 to 5 p.m. with a special afternoon performance by Sausan. 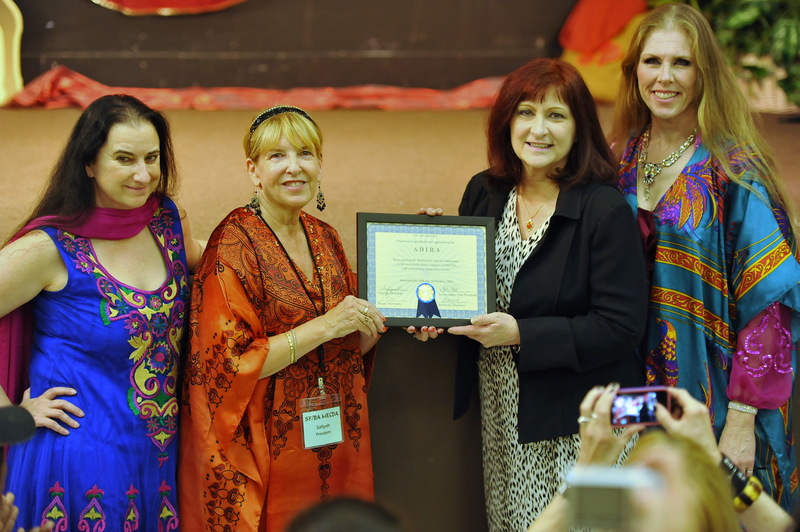 The Board surprised Sausan with a Certificate of Appreciation for her many continuing contributions to the belly dance community. We were excited to also welcome The Meridian Band, who played live and lively music for a portion of the show. Enjoy a sampling of performer photos throughout this article. Photos are courtesy of Carl Sermon Photography. From 5:30 to 7 p.m. the entire Festival audience was thrilled by the performances given by an impressive lineup of Featured Dancers. We would like to acknowledge and thank these incredible artists again: Ahava, Gameela, Hassan Yousef Deeb, Jewel of Opar, Las Sirenas, Ma*Shuqa, Raks A’Diva, and ShupaDa. They dazzled our audience with a variety of outstanding performances. We would also like to thank again the Vendors who so generously supported this event: Ancient Egyptian Collection, Aneena’s Silk Veils, Artemis Imports, Carl Sermon Photography, Digital Wuff, Divine Design by Dhyanis, E. Arneson Import, Linah’s Belly Boutique, Lunatic Fringe, MejiaArts, Parri’s Essentials, and Seshen Designs. With grateful appreciation, we acknowledge the Staff: D.J. Sp3shial Option, Ghanima Gaditana, Hasnaa, Hebe, Jahmra, Kevin Greek, Ron Stone, Videographer Jerry Case and Photographer Carl Sermon. If we omitted anyone we apologize. And a heartfelt thank you to the Volunteers: Alma Safiya, Brigitte Fox, Daniela, Dasha, Dawn Devine, Gameela, Hortensia Velasco, Jane Ibl. Jiniko Martinez, Kamilla Morales, Michelle McDaniel, Mila, Tatiana, Thelma Gonzales, Zelina and Zemira. If we omitted anyone we apologize. It truly does take a village. 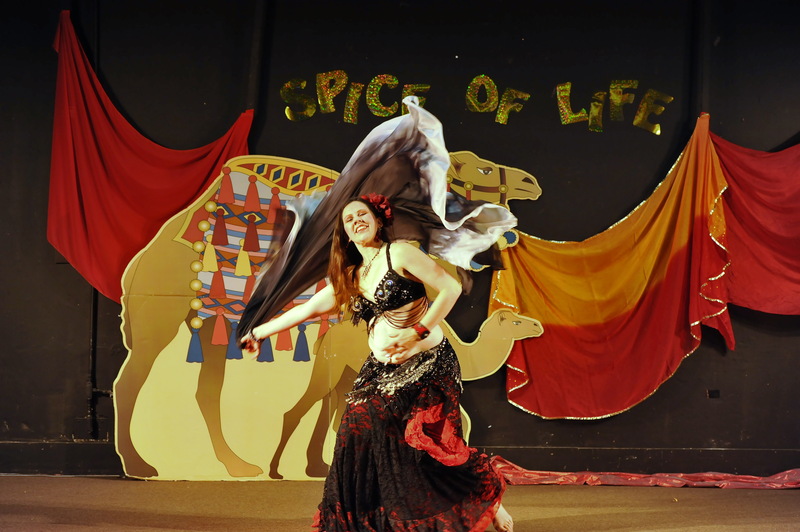 We thank you all in the belly dance “village” for making our Fall Festival a truly FABULOUS SUCCESS! A portion of the proceeds from this event, including a portion of Digital Wuff’s DVD sales and the total proceeds of Snack Attack sales will be donated to Next Door Solutions to Domestic Violence. 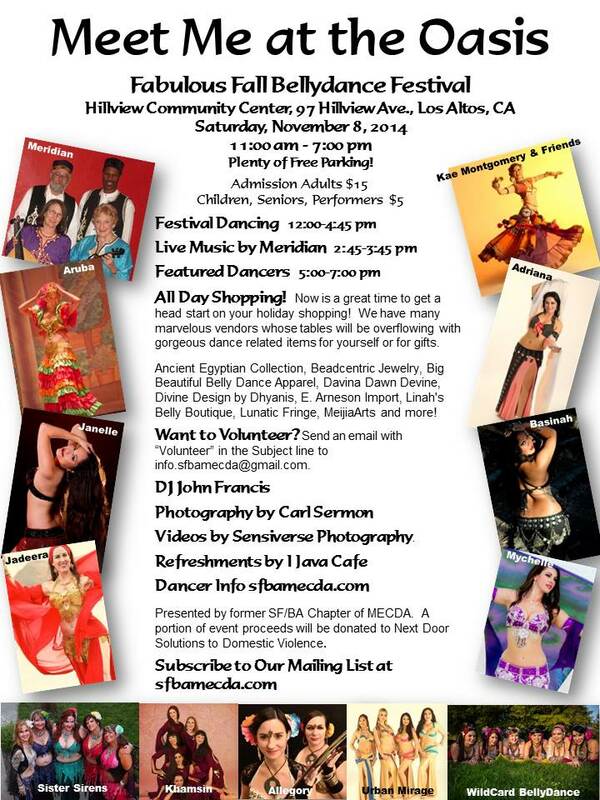 11 am-7 pm, Festival Dancing, Featured Dancers, Vendors, Surprises! 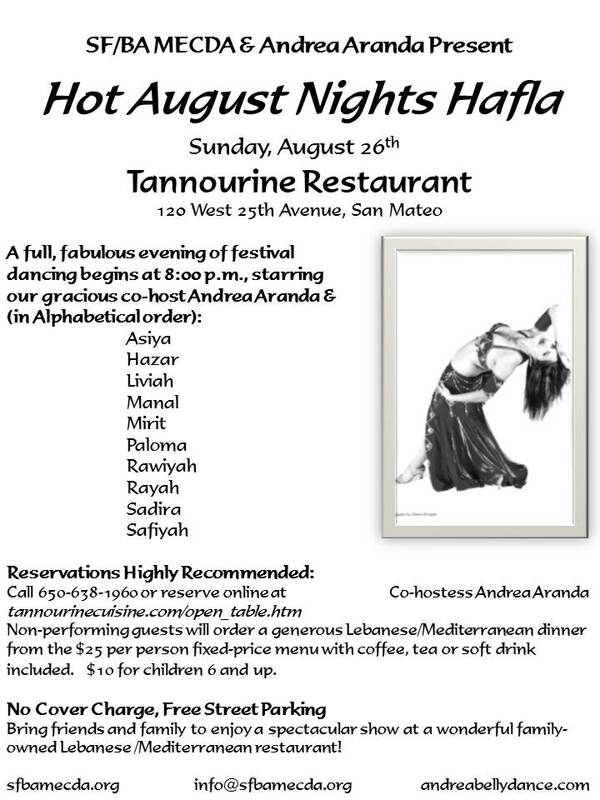 On Sunday, August 26th SF/BA MECDA & Andrea Aranda presented the Hot August Nights Hafla at Tannourine Restaurant in San Mateo. 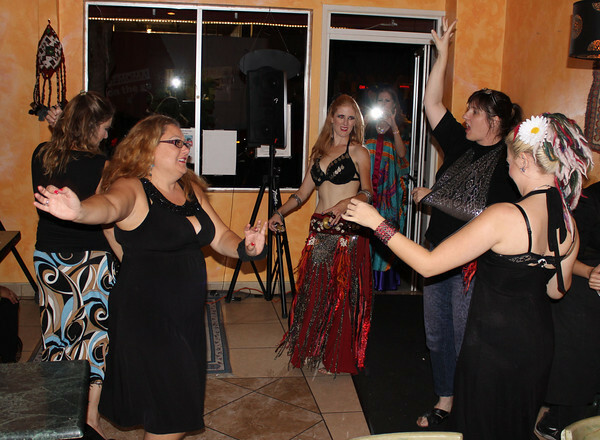 A full, fabulous evening of belly dancing began at 8 p.m. 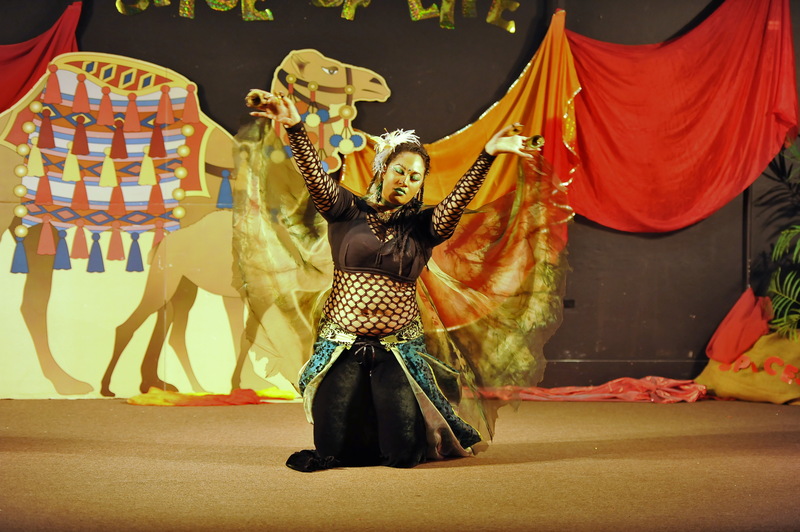 Featured Performers included our co-hostess Andrea, Asiya, Hazar, Livia, Mirit, Rawiyah, Rayah, Sadira, Safiyah and Yolanda. 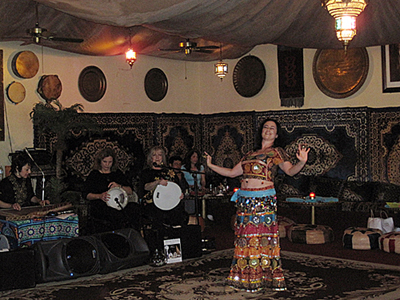 Family, friends, and all of our very “Hot” belly dancers enjoyed the delicious Lebanese/Mediterranean cuisine, as well as the captivating ambience at this charming and romantically intimate location. 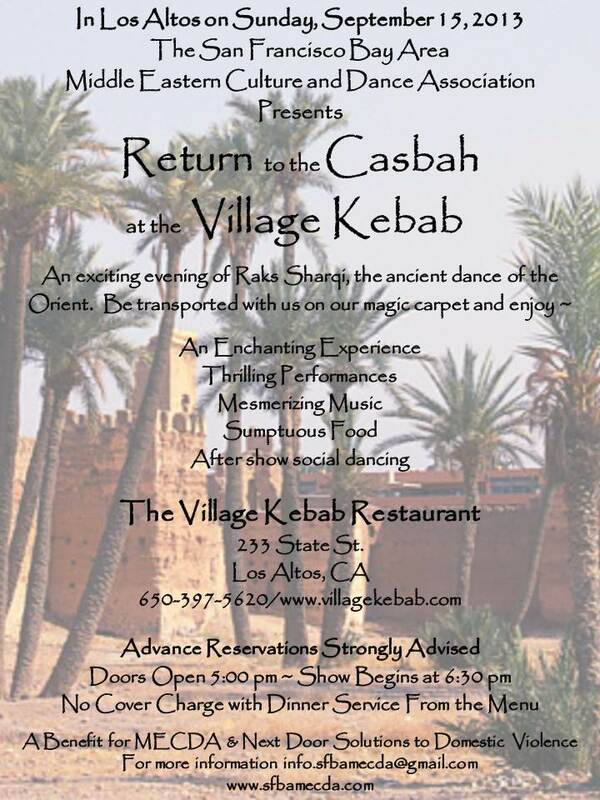 It is an exquisite place to perform, and we look forward to attending future events! 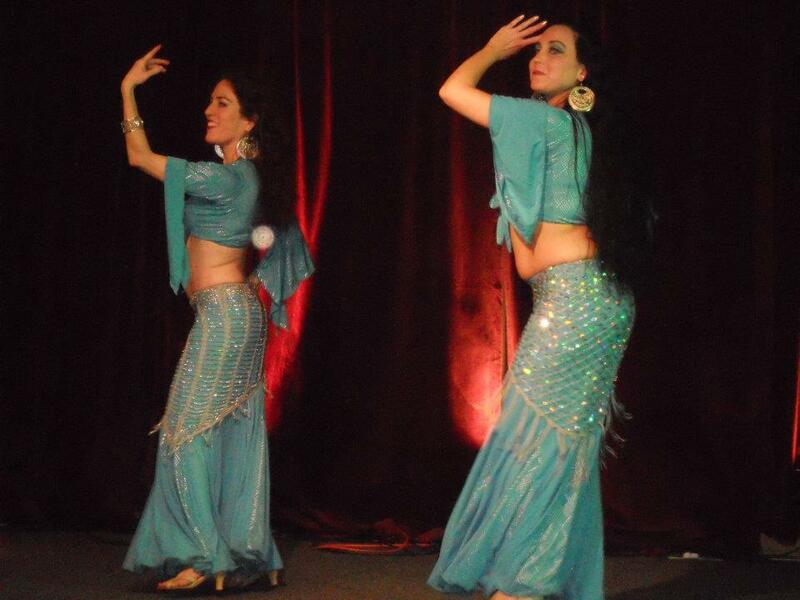 SF/BA MECDA is again delighted to thank our co-hostess Andrea Aranda, the owner and staff of Tannourine, the volunteer DJ and photographer, the dazzling belly dancers, and the wonderful family and friends who came out and supported this event. Shokran! Our thanks and gratitude also goes to all the generous donors that evening to our designated charity, Next Door Solutions to Domestic Violence. 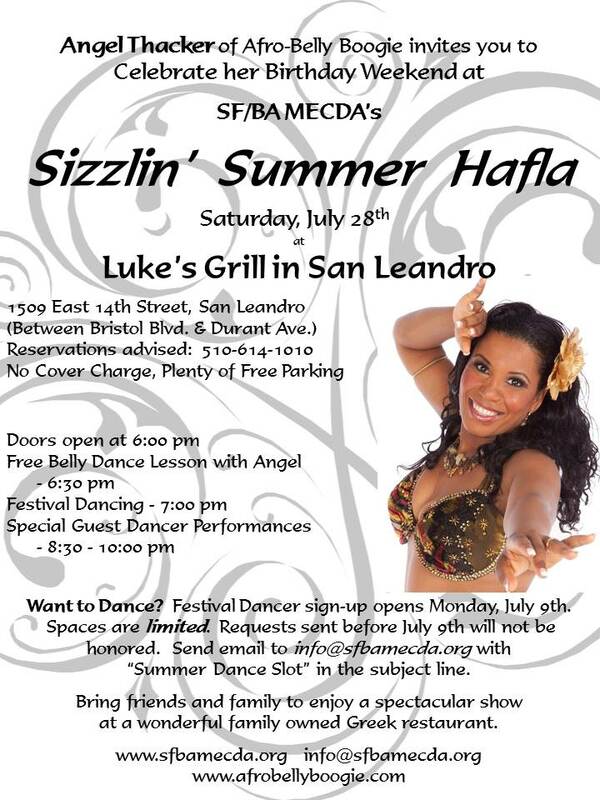 On Saturday, July 28th Angel Thacker of Afro-Belly Boogie celebrated her Birthday Weekend at SF/BA MECDA’s Sizzlin’ Summer Hafla held at Luke’s Grill in San Leandro. The food was delicious as always, and thanks to our combined efforts this was one of the largest turnouts ever for this family-owned Greek restaurant. The house was standing room only! 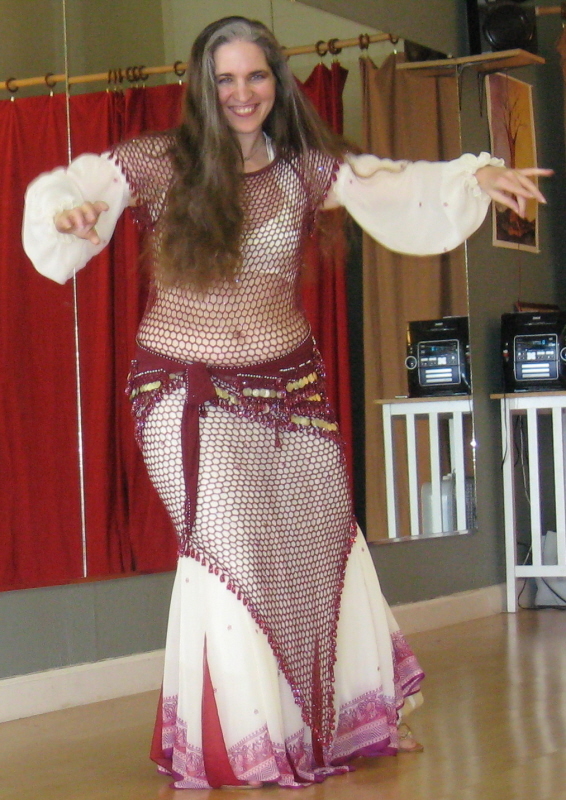 Angel began the evening with a free belly dance lesson, followed by fabulous Festival Dancing by Alisa, Etana, Hazar, Mirit, Raks Jawhara, Sherry Brier, Sudeep, and Troupe Zia. Special Guest Dancer performances provided by Basinah, Bramani, Christina, Delphina, Paloma, Rawiyah, Yolanda and Zahara were also spectacular. 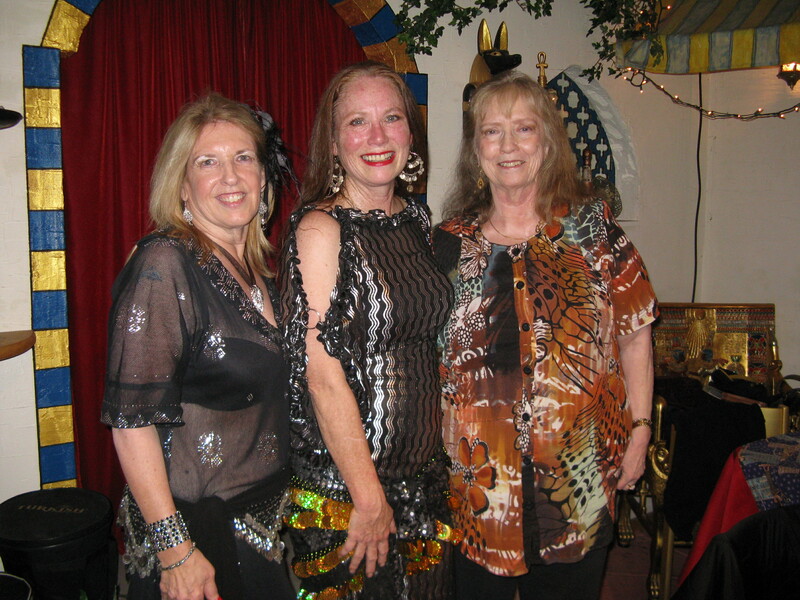 Angel closed the evening with a very energetic and inspiring performance that had the audience on its feet, dancing and signing a lively chorus of “Happy Birthday” – belly dance style! 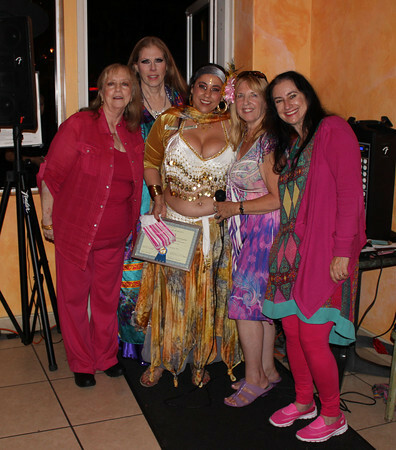 SF/BA MECDA takes this opportunity to once again thank Angel, the owner and staff at Luke’s Grill, the belly dancers who donated their time and talent, and all the family and friends who came out and enthusiastically supproted this event. You were terrific! We also extend our grateful appreciation for the generous donations made that evening to our designated charity, Next Door Solutions to Domestic Violence. Thank you so much! Lastly, we’re delighted that our chapter could help make this a special birthday that Angel and all of us who were lucky enough to be there, will long remember. SWAPPORTUNITY! 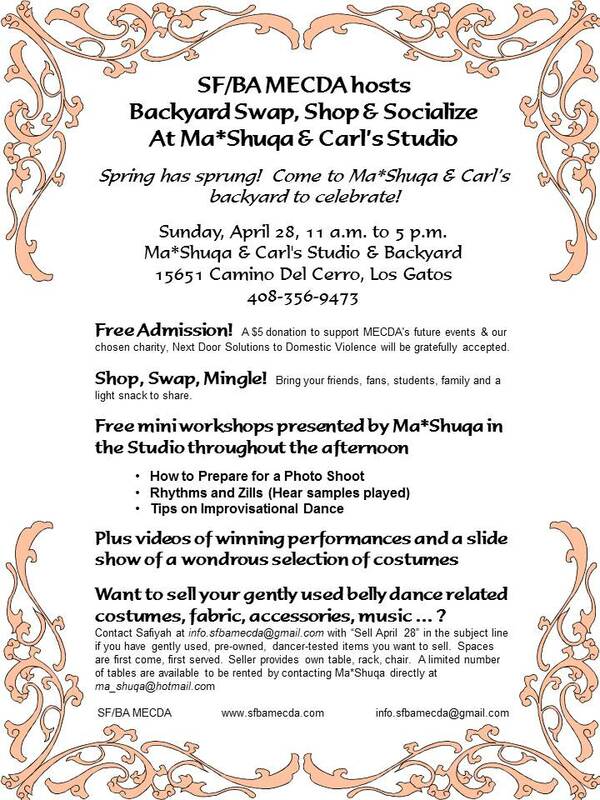 ~ Swap & Shop plus Free Workshops! Shop, Sell ~ Gently used, pre-loved, test driven dance items galore! Dance Wear – DVD’s – CD’s – DIY Materials – Books – More! Lunatic Fringe instructors who are generously donating their time & talent. Free Admission & Parking! ~ Stay for the whole afternoon! 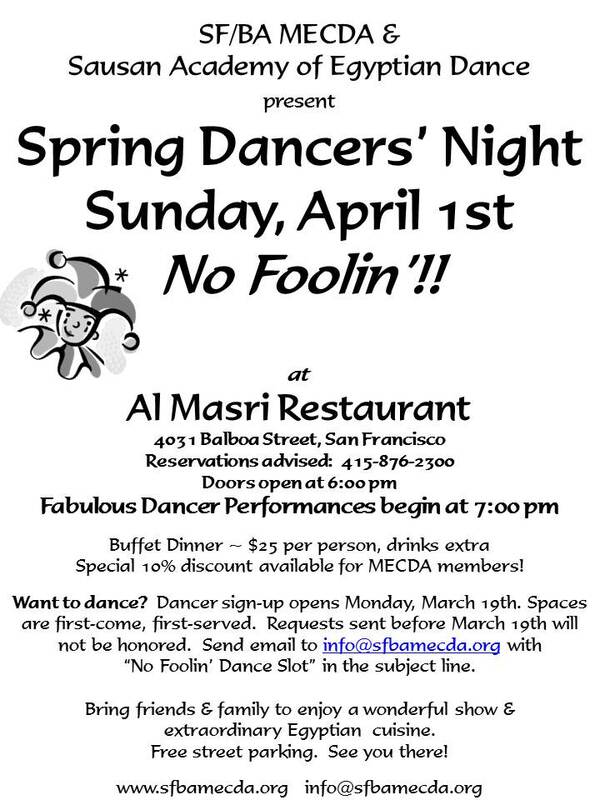 SF/BA MECDA’s No Foolin’ Dancers’ Night on April 1st was a great success. 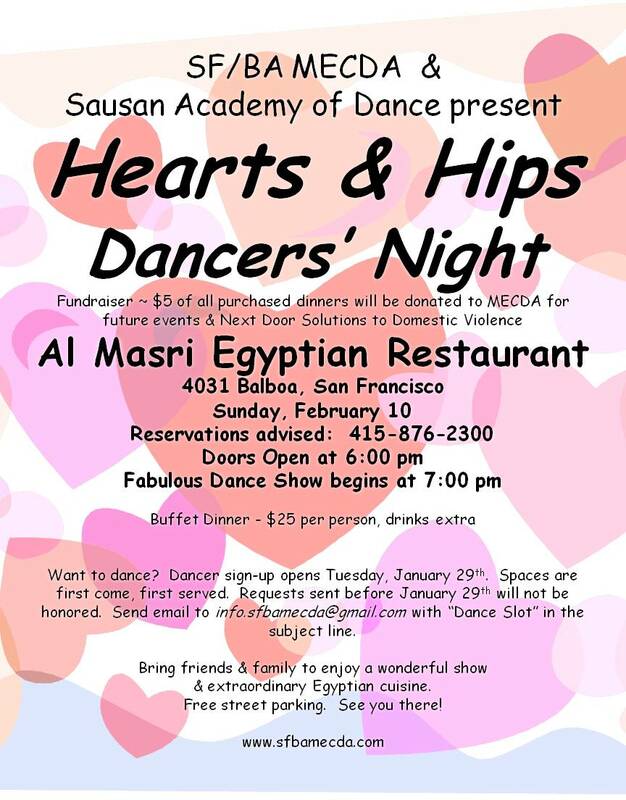 It took place at Al Masri Restaurant in San Francisco, co-hosted by Sausan, owner and master chef of Al Masri and founder of the Sausan Academy of Egyptian Dance. 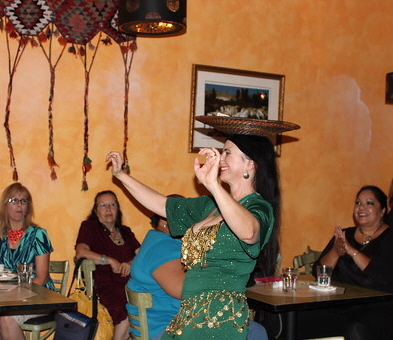 There was a full house and Sausan served up a sumptuous buffet of authentic Egyptian food for all to enjoy. 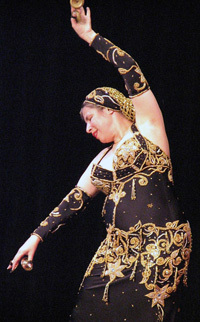 The enthusiastic audience applauded a splendid line up of a dozen accomplished dancers performing in a variety of styles. Then Sausan even left the kitchen long enough to treat us to a sparkling performance that closed the show on a high note. It was an evening of fabulous dancers, family, friends and fun! From left to right: Safiyah (Chapter VP), Sausan, Leyla Lanty (Chapter President). 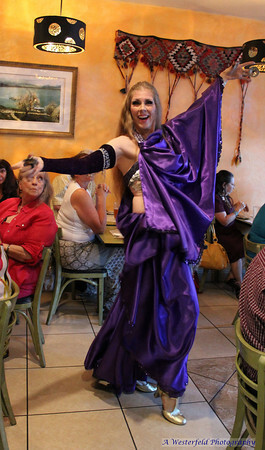 There was definitely excitement in the air for the Dancers’ Leap Night event that took place at Dosa n Biryani in Sunnyvale on February 29th. Adriana welcomed SF/BA MECDA’s dancers, as well as some of her own students, and the crowd who loved them, to a fantasic evening of stellar performances, food and fun. Adding a sensational touch was house DJ Real Deal, whose spinning and chatting helped keep the energy up all night. Our thanks goes to him and Adriana, as well as all the fabulous, delightful dancers, some of whom are pictured below. SF/BA MECDA also extends a very special thank you to the staff at Dosa n Biryani. Their warm welcome and delicious food was much appreciated. Swap, Shop & Shimmy, November 5, 2011 ~ A successful Swap, Shop & Shimmy was held on November 5, 2011. From the moment the doors opened, the room was filled with happy shoppers browsing and buying from the assorted collections of 14 sellers. Throughout the day approximately 150 attendees enjoyed watching our full line up of festival dancers which included students, teachers and professionals. 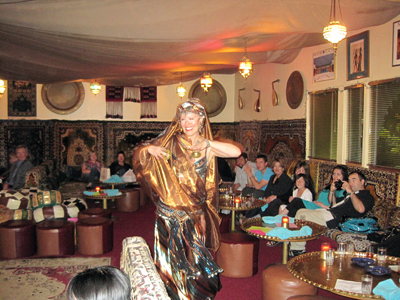 And every seat was filled well into the evening when it came time for our special Featured Dancers to perform. We extend sincerest thanks to our sellers, volunteers and attendees whose generosity [delete also] enabled us to raise $151.00 for our designated charity, Next Door Solutions to Domestic Violence. Photos of this event posted below are courtesy of Carl Sermon Photography, http://www.ReelSoundandLight.com www.CarlSermonPhotography.Zenfolio.com. Paloma of Lunatic Fringe and SF/BA MECDA presented this day of shopping and swapping til you drop opportunity for dancers and customers to browse the collections of over 20 dancers. With some 15 sellers, tents were in the street, on the sidewalk and overflowed into the studio. The weather was hot but the bargains were even hotter! Happy shoppers modeled their costumes and accessories while music played in the background. Refreshments were also provided. Your chapter officers thank Paloma. 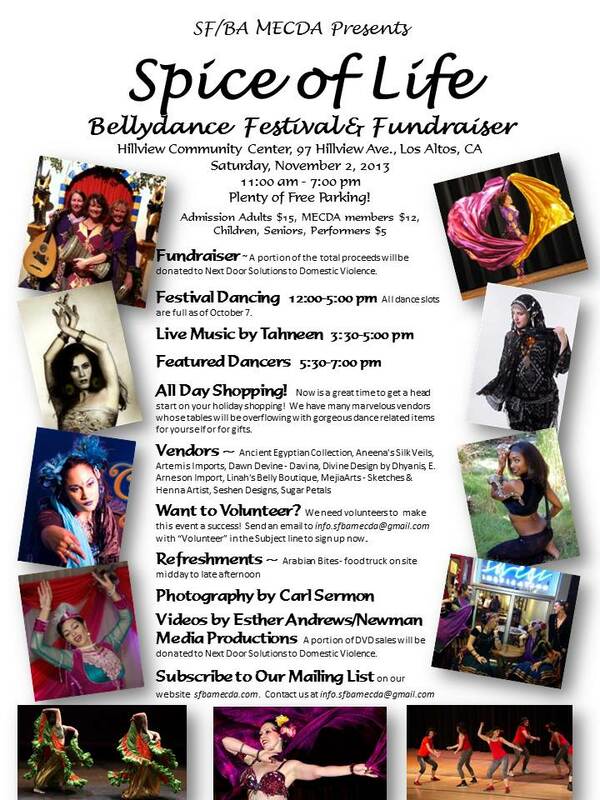 We enjoyed the opportunity to co-host this event with Paloma, who herself already contributes so much to the belly dance community. 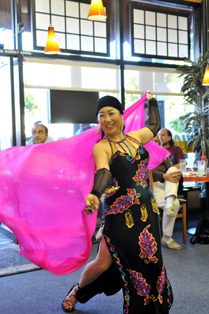 Several dancers (Hazar, Beatriz, Jiang-Ti, Zemira, Raja, Yolanda, Liviah, LuLu, Margarita, Naiya & Numa’ir, Salena and Stasha) enjoyed what is becoming an all too rare opportunity, dancing to live music. On this evening the music was performed by Yosifah and Al ‘Azifoon. 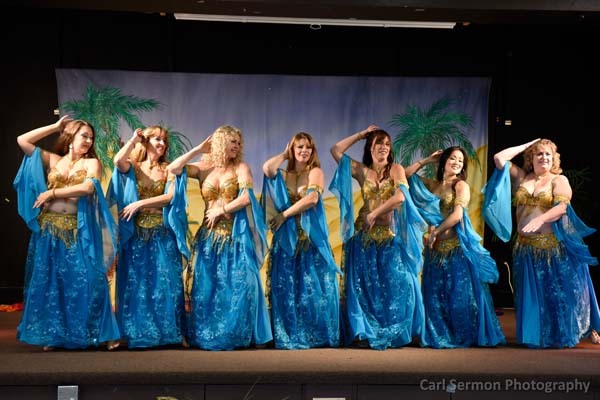 The delightful dancers, beautiful music, delicious food and relaxed and friendly atmosphere insured that a great time was had by all! 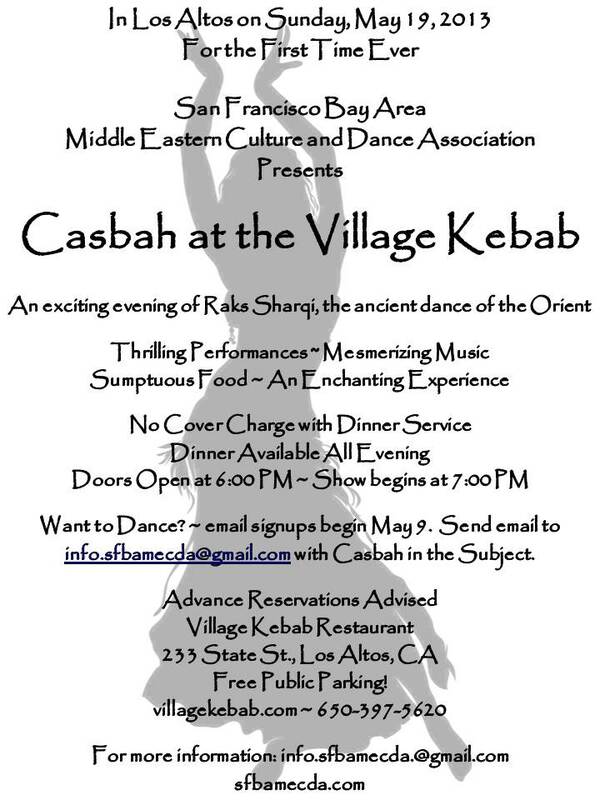 SF/BA MECDA thanks Yosifah for hosting live music nights and looks forward to scheduling a similar event in 2012. And a “new year” has officially begun for the San Francisco Bay Area Chapter of MECDA. What better way to celebrate than to issue our first newsletter of 2011? The election process ended in March and we now have a full board of elected officers. Happy Holidays everyone! Thanks to all of you for your support of SF/BA MECDA and its activities throughout the year. We wish to thank everyone who participated in our annual Gala and Festival on November 13th, especially those who volunteered to work that day, for helping to make it a great success! I’m happy to report that combining your cash contributions, a portion of the entrance fees and a portion of the proceeds from dancer videos made by Digital Wuff, we were able to donate $250 to our designated charity Next Door Solutions to Domestic Violence. We are now in a state of transition via elections to a new year. Please watch future editions of the Newsletter for announcements of newly elected officers and upcoming activities and opportunities to participate in planning and staging them. We look forward to seeing you at a dance event soon. We have 20 sellers coming with a mix of Costumes, Pieces, Music, DVD’s, Accessories, Jewelry, Supplies and Materials and UFO’s (unfinished objects) — Students – invest in basics, Dancers – create your next masterpiece. Teachers – bring your classes and pick up some new class music for a song. Rummage Sale Prices – Bargains Galore – Sign-up-at-the-door to dance! 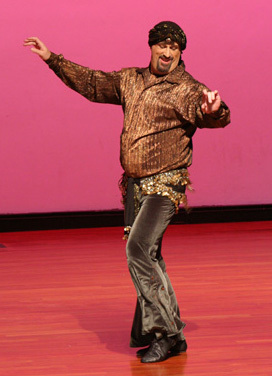 Gotta Dance? 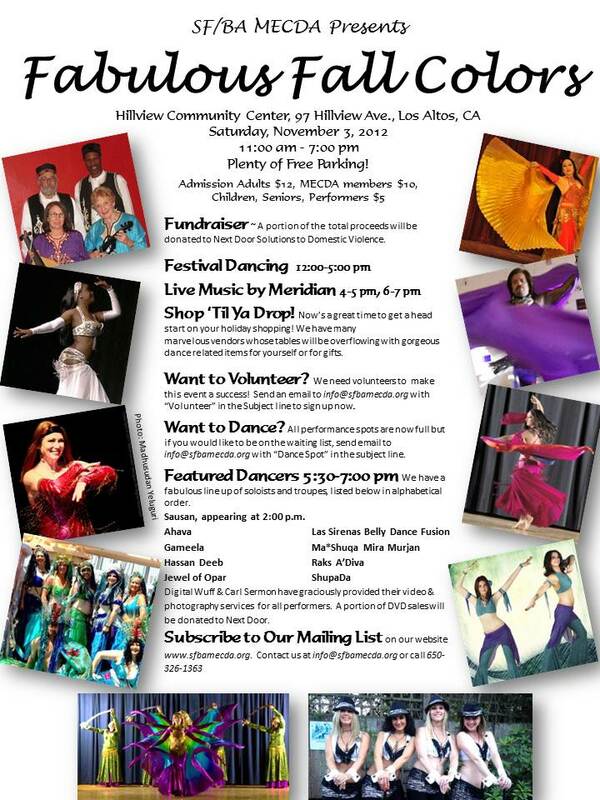 The Hillview Community Center Multipurpose room has a small stage and we are planning a full line-up of performers. 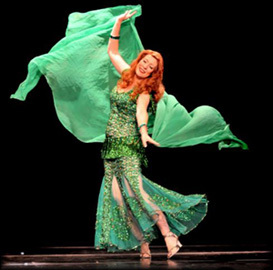 From 4:00 pm – 6:00 pm we will have booked an exciting lineup of featured dancers. From noon until 4:00 pm, there are two ways to take the stage at our event. ~ Take a Chance on Dance For this event, we are keeping 1/3 of our dance slots open for at-the-door sign ups. So even if you don’t get a slot right away, come prepared. Bring costume and music (7 min.) on a clearly marked CD. We all might get lucky and see you perform. Fundraiser for Next Door Solutions to Domestic Violence A portion of the proceeds from this event will be donated to our favorite charity. If you are interested in finding out more about Next Door, visit their website for more information.Quick Directions Take HWY 101 to San Antonio, Head West toward Los Altos,Turn LEFT on Hillview Ave. and park. Ample Free Parking! Here are more photos from November 14, 2009. 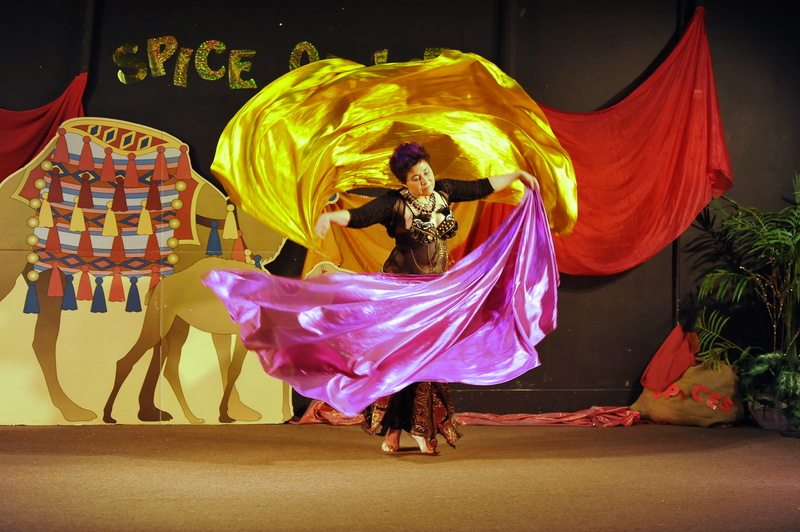 Hafla at the Hoover and workshops with Morocco of New York!